Rwanda is a landlocked east African country boasting majestic volcanoes, lush, dense greenery, imposing mountains and spectacular wildlife. Nicknamed the ‘Land of a Thousand Hills’, Rwanda has suffered a turbulent history in recent years, but is now entering an economic and environmental resurgence sure to elevate it as a top tourist spot for natural beauty. Where else can you reach dizzying peaks, wade through plush vegetation and monkey around with gorillas? Here’s our definitive guide to the best national parks and reserves in Rwanda. The Parc Nacional Volcans is the highlight of any trip to Rwanda. It remains one of the best places in East Africa to track silverback gorillas, a rare species that inspired the Hollywood blockbuster Gorillas in the Mist. Gorilla tracking is now the third-biggest attraction for visitors to Rwanda, and thanks to the work of renowned zoologists like Dr. Dian Fossey, it is possible to now know more about these incredible mammals than ever before. Also home to the endangered golden monkey, Parc Nacional Volcans is comprised of five magnificent volcanoes steeped in bamboo and lush rainforest, of which Karisimbi is the tallest, standing at over 4,500 meters high. Climbing the volcanoes is often seen as one of the most exhilarating experiences of any trip to Africa, and can be done for an affordable price here. The mountainous and volcanic region of the Virungas is also situated within the park, and is a popular draw for visitors wishing to traverse the stunning landscape, offering various hikes and trails with differing levels of difficulty. Parc Nacional Volcans became a national treasure after Belgian colonists recognized the need to protect the area and its precious endangered species, an idea which came to fruition as early as 1925. The park was reopened for tourism in 1999, after an extensive period of closure during the devastating civil war. In Southwestern Rwanda, Nyungwe Forest National Park resides as the country’s largest and most important area of spectacular biodiversity. Boasting over 1,000 plant varieties, hundreds of bird species and 75 types of mammals, not to mention 13 varieties of primates, Nyungwe Forest is home to a rich and incredible array of natural wildlife, flora and fauna. Having survived the last Ice Age, the park covers an area that is home to Africa’s oldest rainforest systems. Here visitors can track chimps and rare monkeys, including the 400 Angolan Colobus monkeys that are frequently seen swinging enthusiastically in the trees of the forest. It is one of the best areas for hiking too, with over 20 km of well-preserved walking trails winding through the rainforest vistas, waterfalls and marshlands. 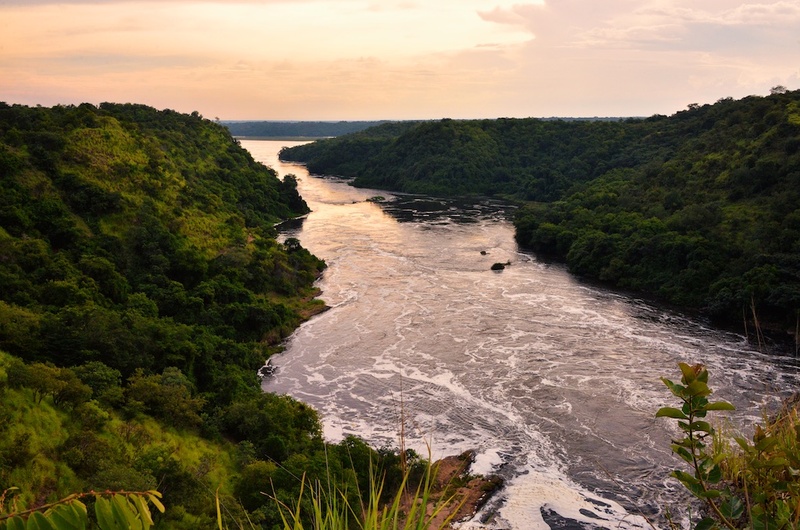 And if you’re up for a trek, you can spot more than monkeys and gorillas here; walk along the Nile and the Congo to witness the various water springs that lead to the headwaters of the Albertine Nile. Although the area was once far more impressive, before it was decimated by banana plantations and deforestation plans, the Nyungwe Forest National Park is still a sight to behold. Furthermore, with increased conservation efforts, it is quickly making an ecological comeback, and is becoming a remarkable Rwandan success story. Originally constructed in 1934, Parc National de l’Akagera was created to protect the area surrounding the Kagera River, and was once one of the best wildlife reserves in Africa. However, political violence and civil unrest took its toll on the area in the late 1990s, and refugees emigrated in mass numbers, causing much harm to the environment. It thereafter spanned a significantly reduced area, and as the park was only a fraction of its former glory, it became a region of concentrated charity efforts, which saw various groups including the African Parks Network (APN) and the Akagera Management Company (AMC) dedicate time and money into transforming the park into a natural haven once more. And this exertion proved fruitful; the park has recently become Rwanda’s fourth largest source of economic revenue, and is now renowned again as one of the most scenic savanna reserves in Africa. The bird-watching here is unparalleled, with plenty of eagles, raptors and other birds of prey regularly soaring through the sky. It is one of the only places on the continent where visitors can watch a zebra roam wild, and the area is brimming with buffalo and elephants. Poaching issues have recently been broached and tackled, allowing for the re-introduction of both lions and black rhinos. And best of all, this park still largely remains a best-kept secret of Rwanda, with many tourists distracted by the gorillas of Parc Nacional Volcans; take a trip here to experience a piece of tranquil, untouched African paradise. Mukura Forest Reserve is one of the few remaining montane rainforests in Africa. With an average altitude of 2,600 meters, it is one of the highest, most extensive and continuous areas of forest in Rwanda. Lying high on the Rift Valley Wall, there are over 150 recorded animal species here, including over 1,000 varieties of bird and 293 species of reptiles and amphibians. Presently the reserve is not properly developed for tourism, however, it is still accessible for visitors via the road which connects Karonhi to Mukaga, a path heading north at Nange. Following a dirt road that leads close to the forest’s edge, visitors will reach the outer perimeter of the forest, a lush green spectacle bursting with the sounds of wild animals. Although still a breathtaking sight, the vegetation here has decreased rapidly in the last 50 years, by nearly 50%. The biggest reason for this is the growing population of villages emerging around the outskirts of the forest, settlements which are dependent on the reserve as a means of income and resource. With this post-genocide resettlement it is difficult to predict how long the beauty of the reserve will last, but if possible, Rwandan travellers are urged to visit this natural treasure if they can. Gishwati Forest Reserve should really be called the vanishing forest reserve, having lost approximately 99% of its original expanse. Now only a small patch of about 2,500 acres remains of the formerly vast 250,000 acre area. Although human intervention is the main cause of this, natural disasters in the form of landslides and soil erosion have played their part in decimating the biodiversity of the reserve. However, since 2001, efforts have gone into reforesting the area, an activity which has increased the area of the park by 1,000 acres in only a few years. As devastating as the reduction in size is, Gishwati is still one of the most stunning areas in the country, illustrating why Rwanda is rightly called the ‘Land of a Thousand Hills.’ Here you’ll find these undulating, charming hills, and you’ll also be able to visit a number of idyllic tea plantations which dot the edges of the reserve. Eco-tourism, as well as the work of the Gishwati Forest Conservation Program, are two important factors integral in bringing this reserve back to life. The Rwandan Ministry of Lands and Environment has plans to build a 10,000 acre corridor to connect Gishwati to the Ngyunwe Forest National Park, an idea which just might be able to make the Gishwati Forest Reserve Africa’s most amazing comeback kid.